Brickcom Corporation is dedicated to forming partnerships with companies who share our vision to offer quality service, cutting-edge products, and complete security solutions to our clients. Together, we can offer durable, reliable, and scalable IP surveillance solutions for all industry needs. 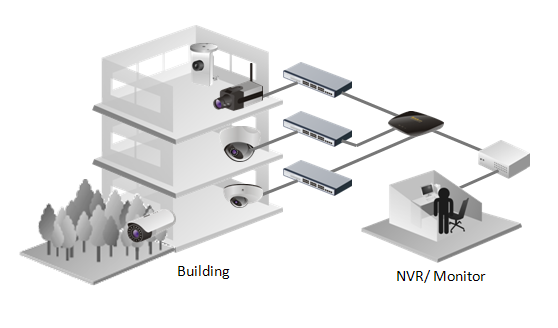 High-resolution Brickcom IP cameras ensure highest security for hotel staffs and guests. Ogni Murmanska, located in Murmansk, is one of the most famous snow parks in Russia which attracts numerous tourists around the world. The visitors are always amazed at the extremely fabulous ski slopes, and travel here again and again to experience the excitement of the speedy sport. Novotel TangCity Hotel, located at the main business district of Tangerang city, within Tangcity superblock on top of shopping mall. With the convenient transportation, the hotel is 30 minutes by car from the airport, also, it allows visitors to reach downtown area easily. Bangkok is the capital city of Thailand; it has been Thailand's most populated area since its establishment as the capital city in 1782. The city right now has a population of over 8 million people. CentralPlaza Chaengwattana, one of the biggest shopping malls located in the Bangkok Metropolitan Area, was opened in 2008 with a total of seven floors and a basement floor. 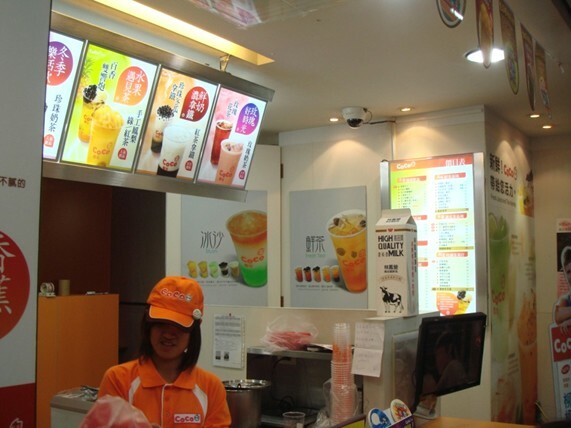 It has 9 main anchors and more than 300 shops, various well-known brands. 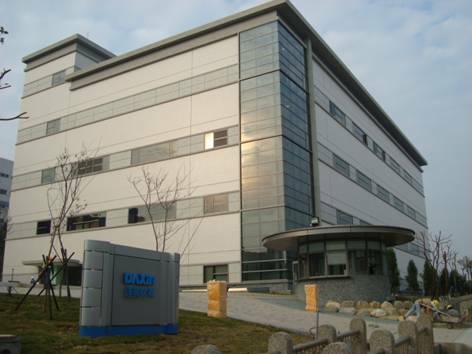 The Purfleet industrial park is situated in Essex, England, and has been the site of Unilever. It is also reputed to be the largest place producing the margarine in the world. Moreover, there are an Esso lubricants plant and a ro-ro ferry terminal here. Physical security is one integral part of facility management, to protect the employees, assets, tenants, and business in the properties. Manned guarding is one common means for physical security. Our Norwegian partner, Elotec, has the special project with Natioinen on the website. Nationen, the Norwegian daily newspaper, was founded in 1918. It mainly targets farmers and the agrarian sector, with focus on district politics, farming, commentaries, and features. It’s an extraordinary pleasure that the FIFA U-17 Women’s World Cup was back in Costa Rica, a country where football has a great significance for the people. The FIFA U-17 Women’s World Cup Costa Rica 2014 was honorably held in Ricardo Saprissa Stadium in San Jose, Costa Rica, which was built by Deportivo Saprissa. Paseo Arauco Estación is one of the most famous shopping malls in Chile. Located at San Borja Bus Station (the biggest Bus station in Chile) and close to Estación Alameda (the only railway station in Santiago after the closure of Estación Mapocho), Paseo Arauco Estación boasts its popularity with over 48 million visits a year, or 131,500 visits each day on average. The Iranian Hospital was established in 1970. With the team of highly trained, dedicated, and committed professionals within the medical, nursing, and clinical services, the Iranian Hospital is able to deliver the best health care to all the patients. Since its inception in Kuwait in 1964, Americana Group, whose main lines of business are operating food and beverage outlets as well as manufacturing food products, has grown into one of the largest and most successful corporations in the Middle East and North Africa region. CAFETERÍA BREZO is a coffee shop run since 2005 in Logroño, Spain. In the past years, the shop owners have made lots of improvements in the coffee section, including the change of the machines and the in-depth training to employees to ensure the best coffee all the time. The supermarket is almost undoubtedly an integral part of people's life - maybe an integral part of many people's daily life. A big popular supermarket can have over 10,000 kinds of goods on the shelf and have thousands of people coming in and out every day. Ultracongelados Azarbe S.A., a major fruits and vegetables freezing factory founded in 1994 in the heart of Murcia, Spain, boasts its production volume of fifty thousand tons a year. It is dedicated to the quick-freezing of grilled vegetables, pre-fried vegetables, and the Mediterranean produce, such as broccoli, pepper, pea, onion, artichoke, zucchini, celery, eggplant, etc. Chanthaburi, also called the city of the moon, is the capital of an eponymous province in Eastern Thailand. It is a busy transport hub and is famous for tropical fruits, gems, and pepper.There are not only lots of forests and spectacular waterfalls on the surrounding hills, but several fishing villages and attractive beaches nearby. The Constitución railway station is one of the major railway stations as well as a famous historic landmark in Buenos Aires, Argentina. 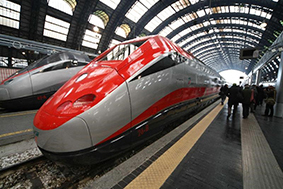 Since 1907, it has provided lots of passengers and travelers with the railway service, city metro service, bus service, etc. As the intrepid guarding force of the Thai aerospace, the security of the Thai Air Force staff is the same important as Thailand’s aerospace security. As part of the Thai military district, the security of the Thai Air Force dormitory can never be over-emphasized. Gerontoiregua sl is a company based in the city of Logroño, La Rioja, Spain. It is dedicated to the construction and operation of the residence for the senior citizens. 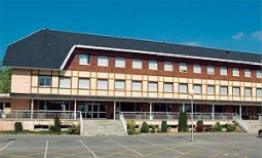 The residence is located 10km away from the city of Logroño, with 220 rooms for the care of the senior people. 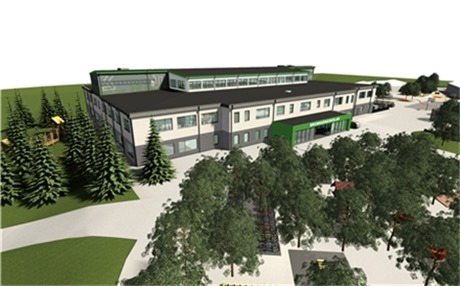 The Brunnsäng School is a newly built school located in SÖDERTÄLJE, Sweden, and accommodates the students from Grade F to Grade 9. In the very beginning of the school's construction, the authorities concerned decided to deploy the campus-wide surveillance system to protect the students and staff and properties. 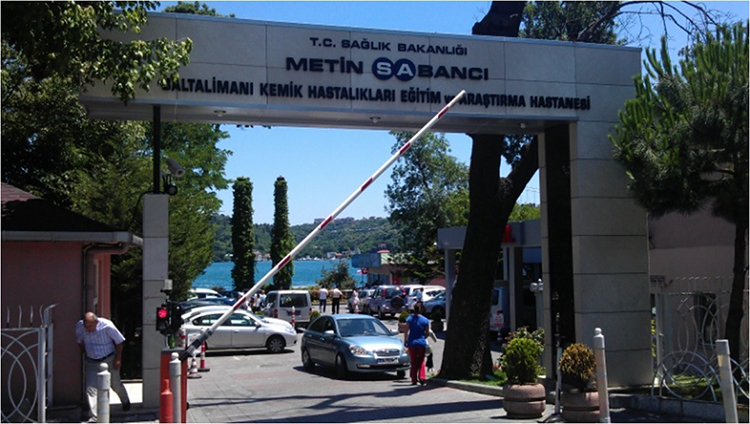 METİN BANCI is located in Istanbul, Turkey, and is one of the biggest public orthopedic hospitals in the country. In order to maintain the safety of people in all the departments and service units, and respond instantly to any indicents that occur in the campus, the hospital board decided to cover the entire hospital with the IP video surveillance system. Mercedes Ben of Huntington serving Huntington, Massapequa, Huntington Station, Woodbury, Plainview, Syosset and Long Island, is proud to be an automotive leader in the community. 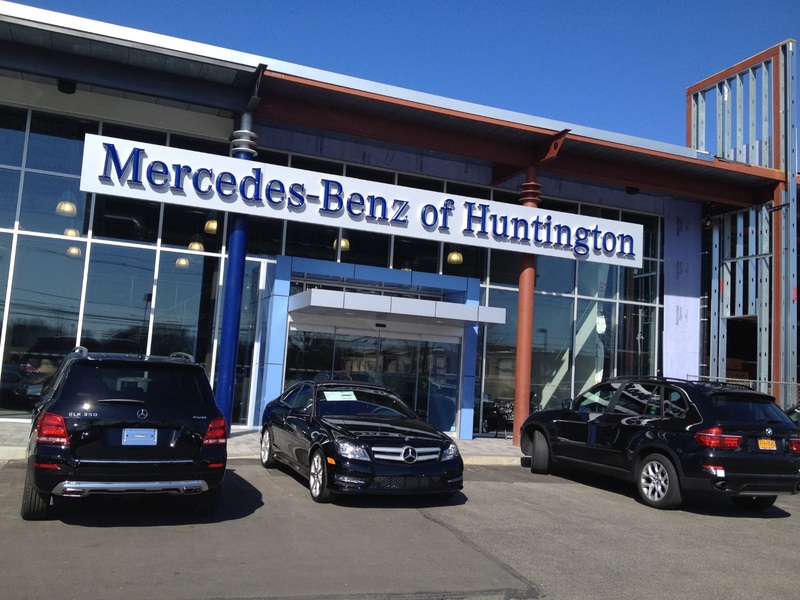 Since opening, Mercedes-Benz of Huntington has maintained a solid commitment to their customers, offering an elegant and safe environment to provide the widest selection of Mercedes-Benz vehicles and ease of purchase. Neo Solar Power (NSP) is a leading solar cell manufacturer and their third factory just started to operate in Aug 2010. 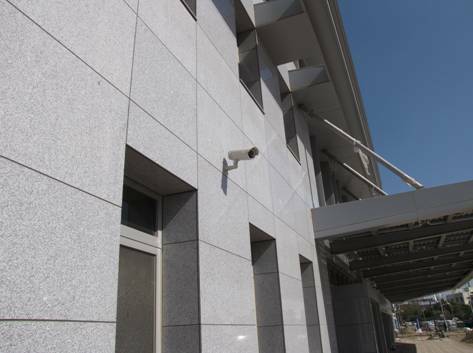 NSP needed a total solution to monitor the building which includes Entrances, office, lobby reception and guardhouse. Brickcom provided outdoor camera OB-100Ap and indoor camera FD-100Ap to realize a clearly video and reliable surveillance system. EUROCHAMP provides fresh mushroom produce and works with a group of partners who are mushroom producers. The mushrooms are classified according to their quality and the suppliers are paid accordingly. The Tarragona Pádel Indoor, a sports club in Spain, intends to provide an extra service with high resolution video for their clients while they play games in the arena. The athletes can benefit from the video as an analytic material to improve their skills during their training. Founded in 2002, Penabur Gading Serpong is a complete school of junior and senior high in Indonesia with visions to provide student a balanced formation between general discipline education and character education. The architecture of this condominium is unique in Brazil. For instance, each apartment has an exclusive car garage inside and direct access to it through a private elevator, among other interesting innovations. To build a top quality surveillance system, 48 Brickcom IP cameras were set up over the area, using different models according to the requirements of each application. 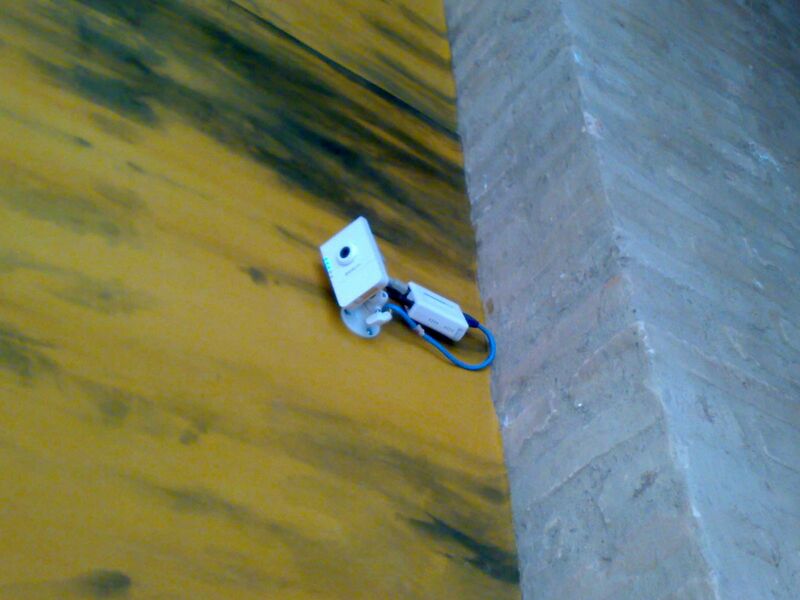 Brickcom’s Surveillance Solution for the Science Park of Salamanca University in Spain. The M3 is a new building in the Science Park of Salamanca University. It’s a modern building characterized by high functionality and versatility. This new four-story structure has over 8,900 m2 of floor area, including offices and R&D labs which can be rented to other technology companies. Having been stolen products and services worth $7000, the business owner hopes to build an inventory surveillance system while ensuring that the tanning salon is providing high-quality service. 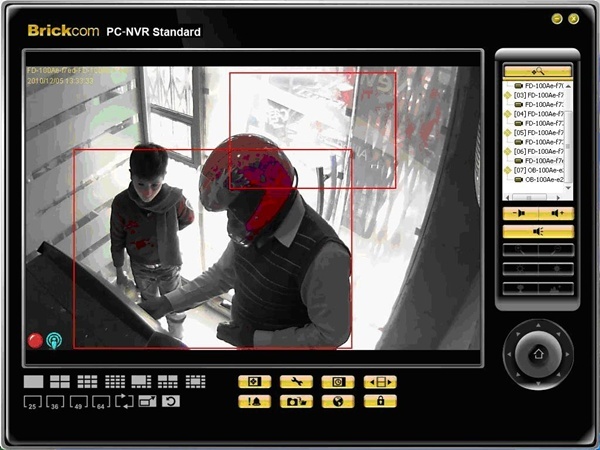 A surveillance system can help the owner to control employee accountability by monitoring their performance remotely. Moreover, the video feed can help manage customer liabilities and verify the validity of customer complaints concerning tanning results. For example, if a customer claims that a bed is not cleaned, the video feed can prove that an employee has entered the room with cleaning supplies before the customer in question uses the room. In the city of Arequipa, Peru, rich and known for its culinary tradition, this prestigious restaurant has placed all its confidence in the security and surveillance system provided by the Brickcom Cameras. Setting up a surveillance system in shops can help improve the profitability of the stores, the personal safety and it can also assist in providing a better service to customers. 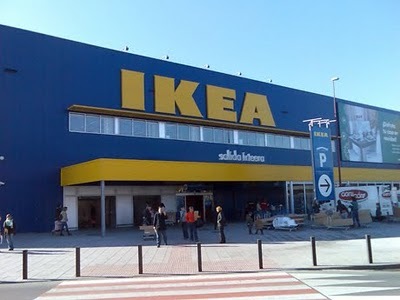 WAF Estructuras Digitales together with Prosegur, introduced Brickcom IP camera to IKEA Murcia. For shopping mall, holding event is a way to attract more people to there. 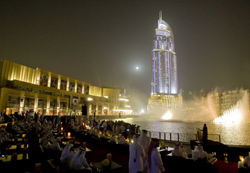 In Dubai shopping mall, its’ outside has a water fountain dance during day and night. 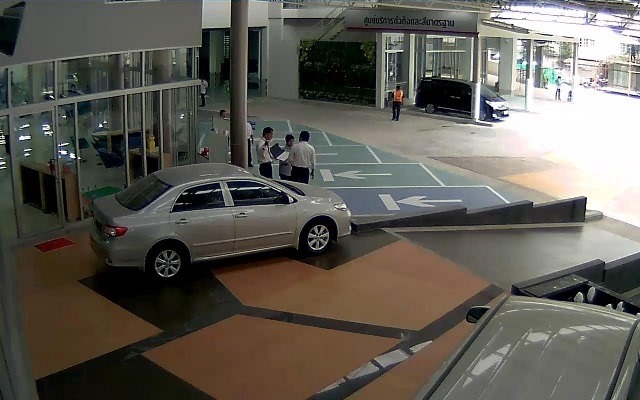 By using Brickcom’s camera, the VIP of this mall can monitor or watch the event clearly. Inmobiliaria Rapid S.A.C. 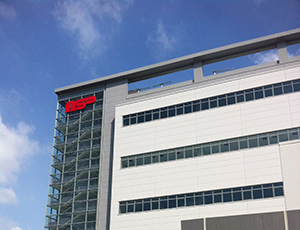 is part of Admiral Group of Companies (Novomatic) in Lima, Peru. 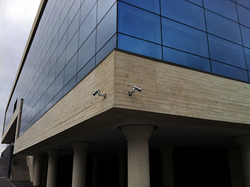 According to the security law, since the location is a casino, Inmobiliaria Rapid must set up a surveillance system. During the solutions research stage, a local systems integrator, One in Com, suggested using Brickcom IP cameras in order to meet the different variants of their particular case. One in Com is a professional provider in the security market who can provide consulting, installation and integration systems among others. 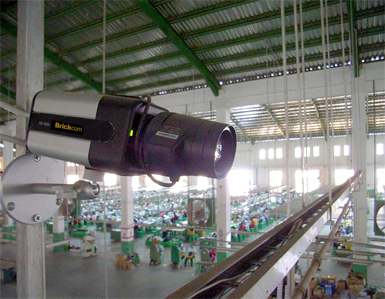 When Scorpio, a Taiwanese-based shoe manufacturer, was looking to install a surveillance system at their factory in Cambodia, they approached Brickcom Corporation for a surveillance solution. With a large area of 150,000 square meters, the Cambodian site required an advanced and reliable system which would be used to provide 24/7 surveillance and reduce theft of valuable materials. Rotary International District 3520 held their twelfth annual conference on April 9, 2010 at the National Taiwan University in Taipei, Taiwan. Rotary International District 3520 is one of 32,000 Rotary International service clubs worldwide that brings together business and professional leaders to provide humanitarian service to communities. In the Nightlife Entertainment Industry, transactions between the customer and business are pivotal because there are so many people involved and scenarios where errors can occur. Business owners need to ensure the customer is getting a great experience in addition to getting what they ordered and that the employees are interacting properly with the customers. 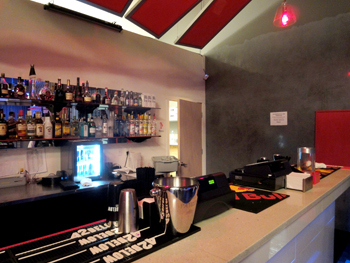 "We needed a product that was discrete but effective. During the evaluation process we tried various manufacturers, but experienced reliability issues. We then tested Brickcom and coupled with good reliability we found the picture and audio quality to be excellent." With almost 70 years of history, the Allied Bank of Pakistan is one of the first banks to be established in Pakistan. It was first founded in Lahore by the name of Australasia Bank before becoming independent in 1942. The name was changed in 1974 to Allied Bank of Pakistan Limited and then in 2005 to its current name, Allied Bank Limited. 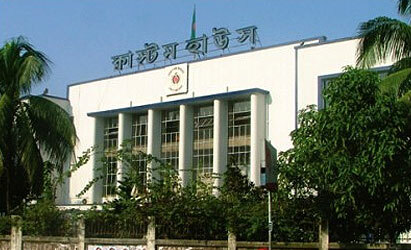 Due to capital reconstruction, in August 2004 ownership of the Bank was transferred to a consortium that comprised of Ibrahim Leasing Limited and Ibrahim Group. Chunghwa Telecom (CHT) the largest telecommunications and network company in Taiwan, offers several networking services to their clients, including a remote monitoring service called Clarivoyant. With Clairvoyant, CHT offers video surveillance and an image hosting platform for users to remotely monitor their business, homes, and other property. The Jhunan Science Park in Miaoli, Taiwan is filled with 40 companies from the Biotechnology, Telecommunications, and Photoelectric industries. 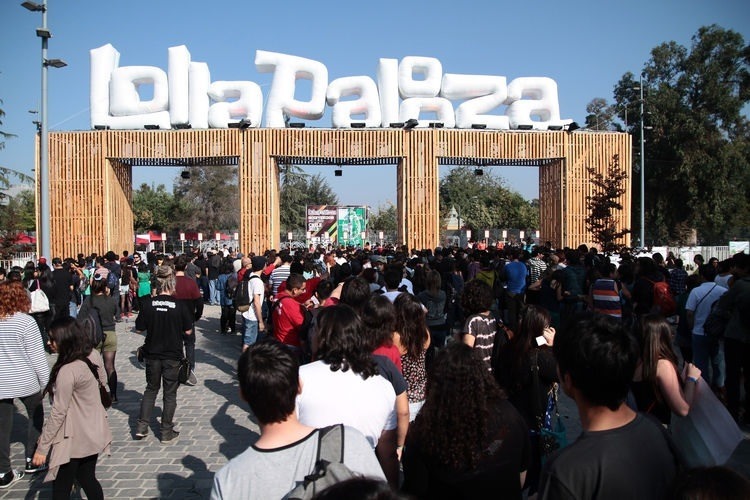 With over 10,000 employees working in the park as of October 2010 and more employees being added every day, security was a growing issue within the park. The increasing security requirements are no longer only required in commercial and public sectors, but also in residential property sector. SA Automasjon is an installer and provides field installations in Norway. For the purpose of one of its residential application projects, the surveillance system was requested to be set up in a wide private field to oversee two local gateways. Founded in 1910, Chaminade College Preparatory School is an independent Catholic Marianist school for boys. Over 150 students participate in the school’s band program which has won numerous regional and national awards including 2011 Midwest Festival of Music. One of the most popular clubs in Chaminade is the new online webstream program called CSPN in which sporting events and other activities are livestreamed on the web.